Aganice was a sorcereress with the power to make the moon disappear! How cool is that? Or, possibly more likely, she was an astronomer and knew how to calculate when a lunar eclipse would occur. Which is still pretty neat. 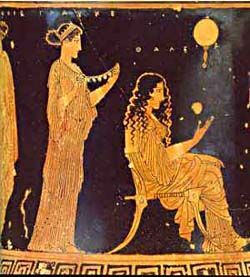 She’s mentioned in Plutarch’s writings and was one of a number of female astronomers at the time who were referred to as “the witches of Thessaly” by later writers. She’s one of the earliest named female astronomers, and a reminder that it might’ve been over two thousand years ago, but some women could still get a decent education. There’s a crater on Venus named after her. Sorry, Sally Ride, for you are amazing, but the astronaut I’m putting on this list is Helen Sharman, for she’s my country’s first astronaut. Ask a Brit who the first person on the moon was and they’ll know, they can probably tell you the first person in space too, but do they know who our first person in space was? Probably not. Forshame! It was the chemist Helen Sharman. In 1991, at 27 years old, Sharman became the first Briton in space. She gained her place on the Soviet space capsule after responding to the delightful radio advertisement: “Astronaut wanted; no experience necessary” and winning out over 13 000 other applicants to be the British member of Project Juno. She went through terrifyingly rigorous astronaut training for eighteen months before spending eight days in space carrying out agricultural and medical experiments. A mathematician, computer science pioneer and Naval reservist, Hopper is one of those people who, when you read about her life, her brilliance just leaps off the page. She was the third person to program the Harvard Mark 1 computer (one of the first digital computers) and the first to develop a compiler for a computer programming language – she wanted to write computer programs in English and she proved that it could be done, eventually leading to the development of Cobol, one of the first modern programming languages and the main commercial programming language for forty years (still in use today at ATMs, MoT renewals and tax-filing). Cobol also used just two numbers for the year, not four…so she’s kind of responsible for the Millennium Bug flail as well… and she also discovered the first computer bug – she found the moth that had flown into the Harvard Mark II computer, and so is credited with popularising the term “debugging”. Before WWII broke out, Hopper was a doctor of mathematics and taught at Vassar College. For the next four decades she remained heavily involved in both academia and the Navy (which she joined during the war), eventually retiring for the final time at age eighty (the oldest active duty officer in the United States) at the rank of Rear Admiral. There’s a US destroyer named after her. One of those names that I think everyone in the UK should know: Elizabeth Garrett Anderson, the first British woman to qualify as a doctor in modern times, whose determination paved the way to opening up the medical profession to women. She still wanted a medical degree, however, so she taught herself French and went to the University of Paris, then came back to the UK to set up the New Hospital for Women in London, staffed entirely by women, and appointed Blackwell as professor of gynaecology. After she retired, she went to live in Aldeburgh in Suffolk, where she became mayor in 1908. Thanks to Anderson’s example an act was passed in 1876 that allowed women to enter the medical profession in the UK. Anderson was also active in the suffragette movement, but sadly died the year before British women first gained the right to vote. The female scientist everyone’s heard of, hurrah! At least there is one. There should be more, clearly, but Marie Curie (or Marie Sklodowska) certainly deserves her fame. She’s still the only person to have won Nobel prizes in two scientific disciplines (chemistry and physics), she discovered two elements (radium and polonium), and her research into radioactivity was crucial to the development of x-rays. After the tragic death of her husband in 1906, Curie took over his teaching post and became the first woman to lecture at the Sorbonne. And during the First World War, she was equipping ambulances with x-ray equipment and driving them to the front lines as well as lecturing on their use. Her research cut her own life short, but the fruits of her work have saved countless others and changed the face of the twentieth century. 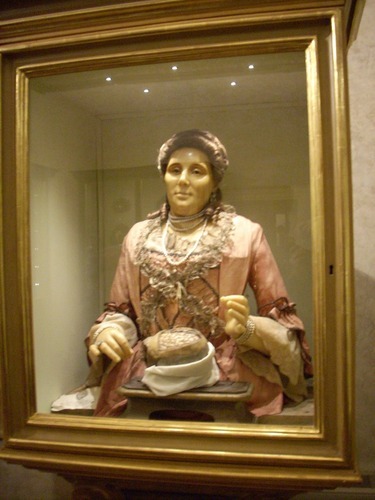 Manzolini was a wax modeller and anatomical scientist who lectured in anatomy at the University of Bologna and won remarkable international acclaim for her talent in sculpting wax anatomical models. She innovated dissection techniques in order to get a better look at different parts of the body so she could more accurately re-create them, and her skill brought her enough fame that royal courts were inviting her over to their countries so they could have a look. Manzolini also created a stunning self-portrait in wax, an image that appeals to me tremendously: Manzolini is beautifully and elegantly dressed as she wields her anatomical tools to dissect a human brain. She created another wax portrait of her husband, but it’s not for her art but her precision and accuracy in her work that she is celebrated. And many of her models can be seen on display in Museo di Palazzo Poggi today. My love of astronomer Vera Rubin is based mostly on her discovery of one of the coolest scientific puzzles: where’s the rest of the universe? Reading about how most of the universe is missing for the first time gave me the same giddy excitement as the very best sort of science fiction, except this was real. Most of the universe is missing! Where is it? What is it made of? Dark matter, what is this? There are various theories as to why, with the most generally accepted one in the scientific community being the existence of dark matter. Rubin’s work shows that galaxies need ten times more mass than what is visible to account for the difference, although Rubin herself doesn’t subscribe to the dark matter theory, but to one with little support known as MOND, or Modified Newtonian Physics, cause she thinks it’s more likely we’ll have to adjust our scientific laws than for some new, mysterious, cool particle to exist. Personally, I’m with the cool particle… I mean, dark matter theory. But that doesn’t lessen my admiration of Rubin for her extraordinary discovery. 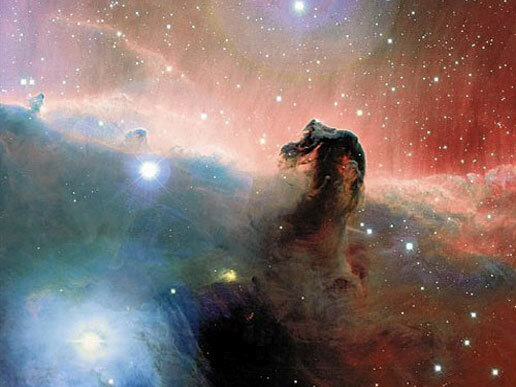 Fleming was (1) Scottish, (2) a 19th century astronomer and (3) discovered the Horsehead Nebula. Which is pretty nifty in itself, but her whole story is fascinating. For she fell in love with this guy in Scotland, and off they went to America together. And then he abandoned her, while she was pregnant, leaving her with no money and in a strange land. That’d be bad enough today, but this was the nineteenth century. To support herself, Fleming managed to find a position as a housekeeper. And her employer was the director of Harvard College Observatory. (You see where this is going.) A couple of months later, he offered her a job at the observatory. Why? There are two explanations, one is that she struck him as being terribly smart, the other is that his previous assistant was so bloody useless he snapped that his housekeeper could do a better job then hired her to prove it. 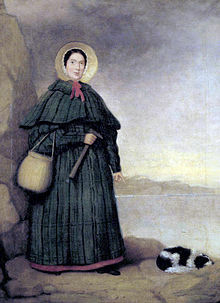 Mary AnningBasically, if I got to be any scientist, I’d want to be Mary Anning. Why? She discovered dinosaurs. Lots of dinosaurs. There was a bit of a tragic childhood – her parents had ten children, but only Mary and one of her brothers survived to adulthood. She was also struck by lightning as a baby: she survived the strike, but it killed three other people. Her family were poor, and poorer still after her father’s early death of consumption. Anning earned them some money by continuing her father’s stall on the seafront that sold fossils and other curiosities. She found the fossils herself, braving mudflows, crumbling cliffs and unforgiving tides to search the Suffolk coastline. Her first big find was in 1811, when, over the course of months, she slowly uncovered a complete and massive skeleton. It was sold to a member of the local aristocracy who sold it on to the Museum of Natural Curiosities in London. The skeleton was named ichthyosaurus, the first of its kind to be discovered. Anning went on to discovered more ichthyosaurus skeletons, then in 1823 discovered a complete skeleton of a plesiosaurus (also the first one discovered); a dapedium (an “unrivalled specimen”), anda pterodactyl in 1828 (the first one found outside of Germany), a squalorajain 1829, and a new large-headed plesiosaurusin 1830. Despite this, Anning still corresponded with many eminent scientists of the time (amongst them, Adam Sedgwick, who was one of Darwin’s teachers), and taught herself geology and anatomy. She didn’t have much formal education, but she was literate. She became an acknowledged expert in many areas, some more obscure than others (coprolites, or fossil faeces was one – she discovered what these bezoar stones, as they were known then, were actually made of) and was both widely-known and well-regarded in her lifetime. The Geological Society may not have allowed women to join or even attend meetings as guests, but when they heard of Anning’s illness (the breast cancer that would kill her) they raised money to assist with her expenses. After her death, the Society Members contributed to a stained-glass window in her local parish church in commemoration of the contribution she made to furthering the science of geology. Ah, Hypatia of Alexandria: an extraordinary, brilliant woman, with a horrid, tragic end. Hypatia is known from four sources, and three of those characterise her as a troublesome individual (always a good sign, I feel). She was a mathematician, a philosopher and a scientist. She had a classical education, given to her by her father, and taught at the Platonist school in Alexandria, becoming its director in about 400. She lectured in mathematics and taught the philosophy of Neoplatonism. Among her pupils was Synesius of Cyrene, who later became the Bishop of Ptolemais. She was a popular lecturer, who taught anyone who would listen, regardless of their faith. She wrote commentaries on Arithmetica of Diophantus, the Conics of Apollonious and on Ptolemy’s astronomical works. She assisted her father, a mathematician, in writing his eleven part commentary on Ptolemy’s Almagest and in producing a new version of Euclid’s Elements. Hypatia dressed in the clothes of a scholar, rather than women’s clothes, and drove her own chariot. She exerted a great deal of political influence in Alexandria, and it was this influence that led to her downfall, when she was dragged from her chariot and killed by a Christian mob after getting involved in a conflict between the pagan governor of Alexandria, and the new Christian bishop. She’s also got a crater on the moon named after her. So there you have it, ten amazing women. Ten women everyone should know the names of. Ten scientists whose work should be celebrated and admired and remembered.